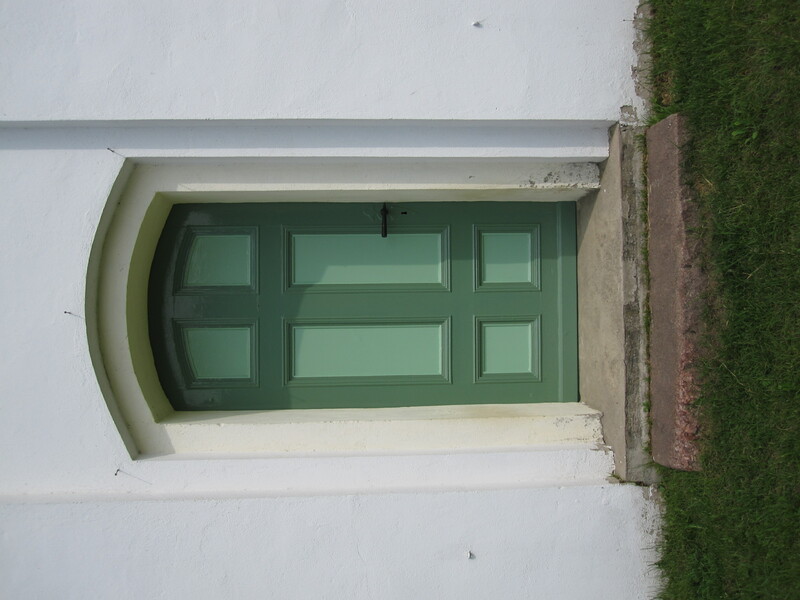 Lübzow, with its 124 inhabitants, is a small village located in the northwest of Brandenburg approximately 10 KM northeast of the county seat, Perleberg. Documentation indicates that the village was officially founded in 1312 with the initial construction of the church occurring during the same period. The original sanctuary was 10.6 meters in length and erected in a modest Gothic style. The foundation of the construction consists of native field stones with rows of red clay bricks were utilized as the main material for the upper walls. 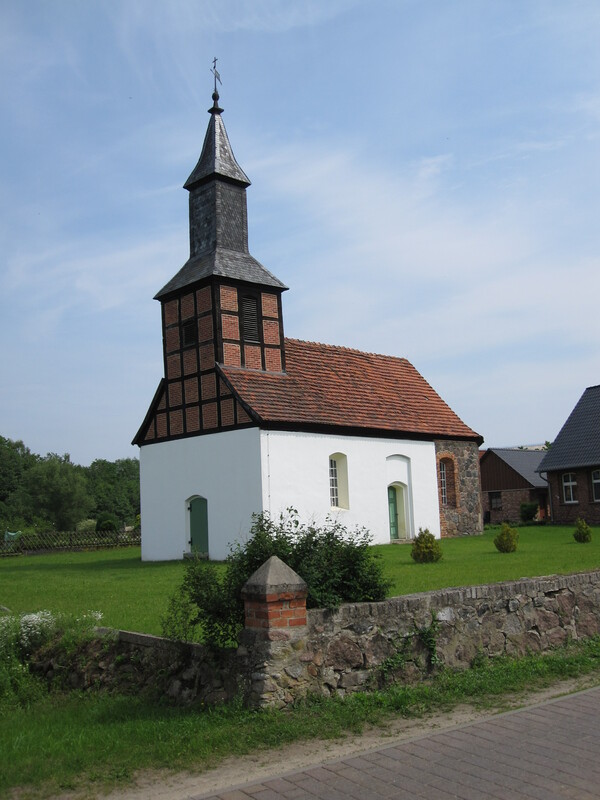 At the time of its inception the church was the smallest of all the village churches in the Prignitz. During the 19th Century, the sanctuary was extended on the eastern end of the building using sculpted field stones. 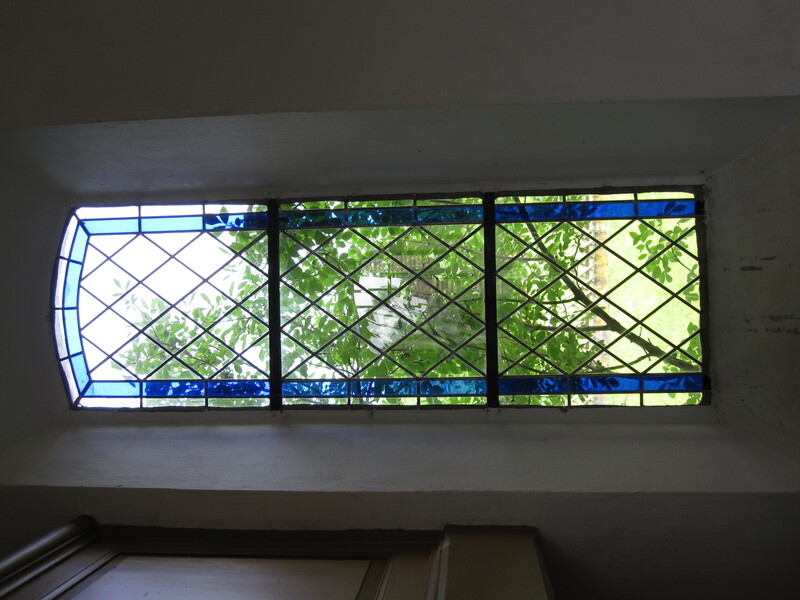 The new stained glass windows were encased in exterior framing of red brick which provided an aesthetic accent against the otherwise grey stone. 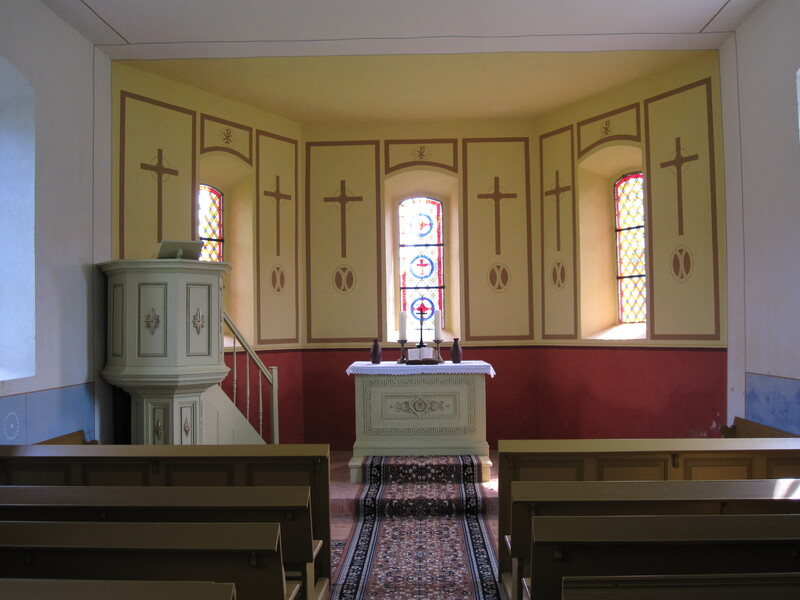 The width of the church remained unchanged and is still true to the original dimension till this day. 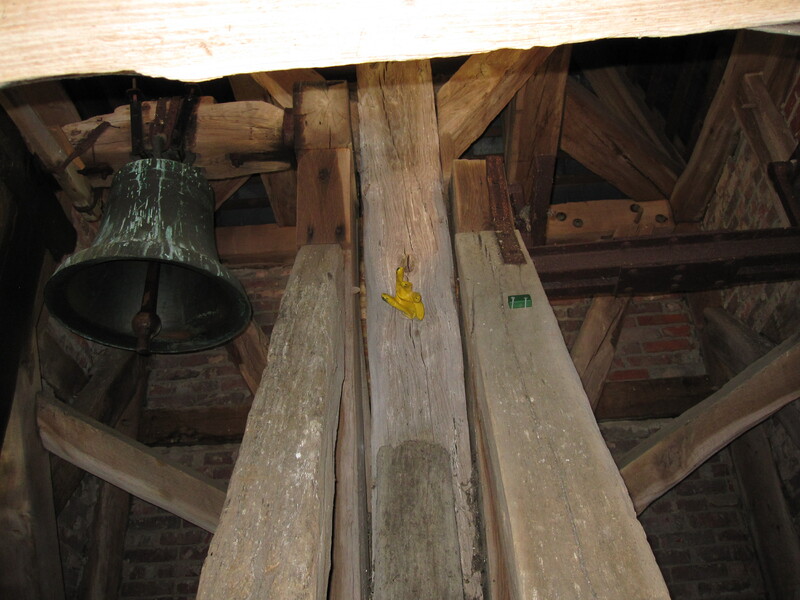 Among some of the noted changes which are evident through available documents are alterations to the belfry and the steeple located at the western end of the structure. The most modern of the alterations occurred during the 1950s when the belfry was replaced after it collapsed during a violent wind storm. The new, more modern, steeple was covered using slate shingles. Additionally, due to lack of funding to perform historically adequate maintenance to the exterior walls of the southern and eastern exposures, a simple white stucco façade was used to conceal the centuries of disrepair. The northern exterior wall bears witness to the evolution of the architectural elements, materials and styles employed through the ages. The roof construction covering the original sanctuary is a standard gable and peek which is crowned and covered using beaver tail red clay tile. 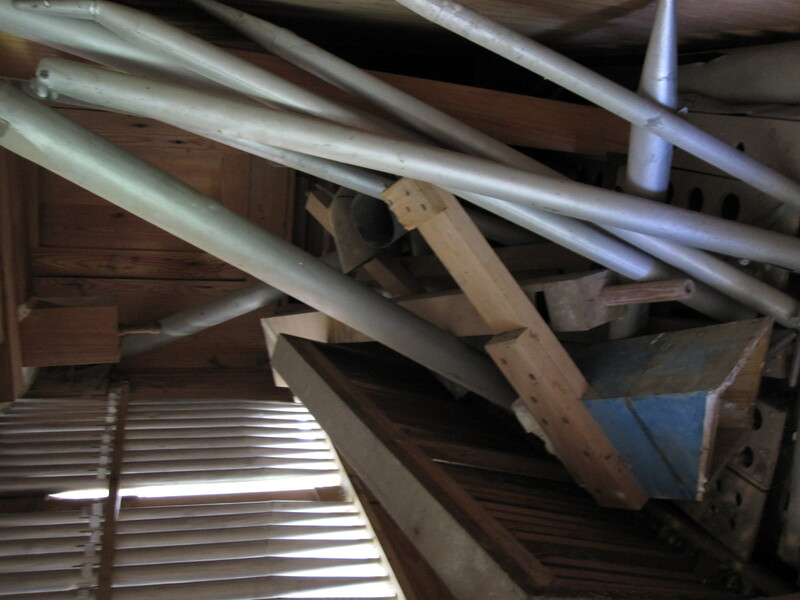 A hipped roof construction was utilized over the 19th Century altar addition. In both sections of the roof a variation of aged materials of tiles remains evident and depicts the ongoing transformation of this idyllic church. 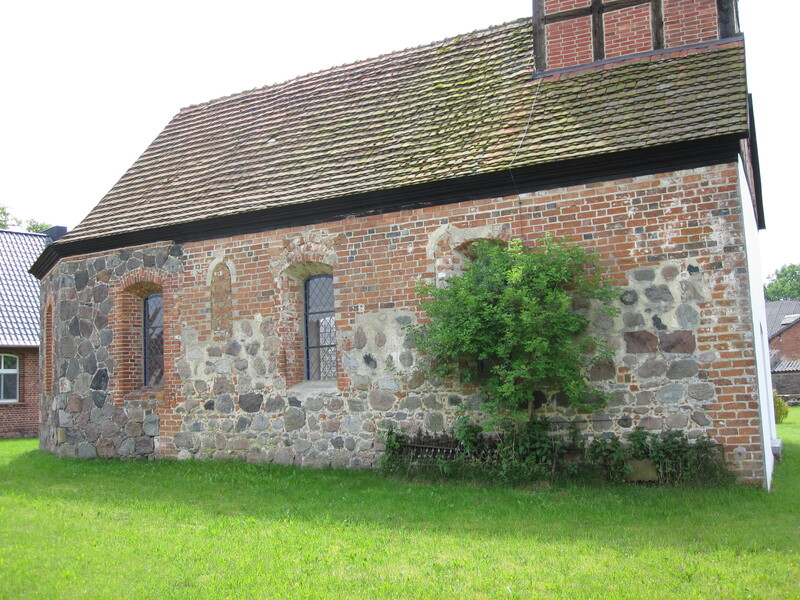 In and of itself, the church, with its period typical characteristics, serves as a profound chronicle of the legacy of Lübzow and church construction techniques during the middle ages. The varied usage of styles and material further lends an insight to the social and economic development of the area. Each and every detail of the components used further allows us to witness the advancement of crafts and trades during the multi-century history of this region. 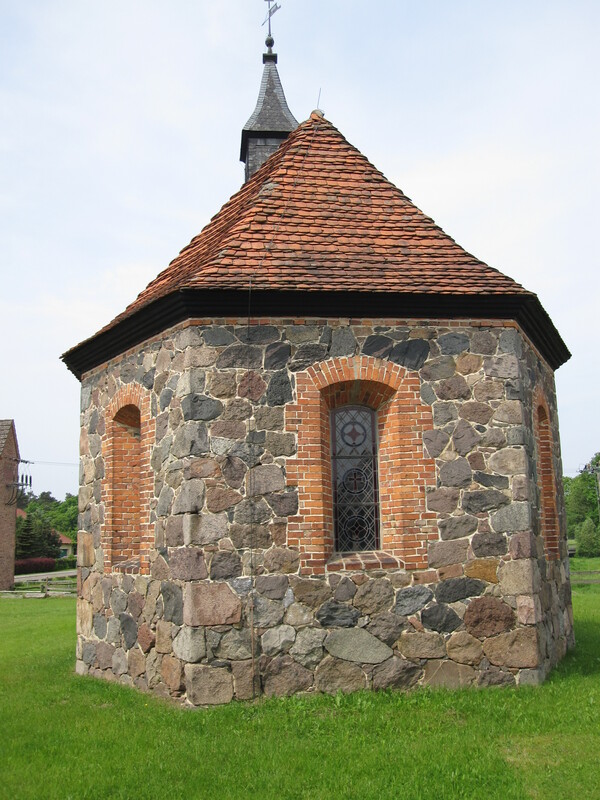 Due to its advanced age and antiquated construction elements, the small church remains the most prominent structure in Lübzow. 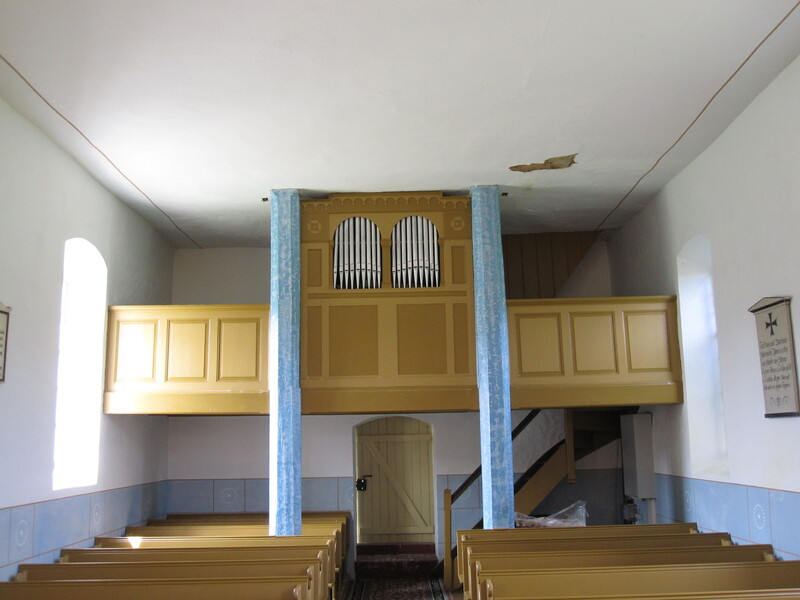 As part of the ongoing efforts to restore and preserve the village church for future generations, the following projects are being coordinated. • The reconstruction of the church organ which was originally constructed in 1911 by organ builder Rudolf Piper from Wittenberge. 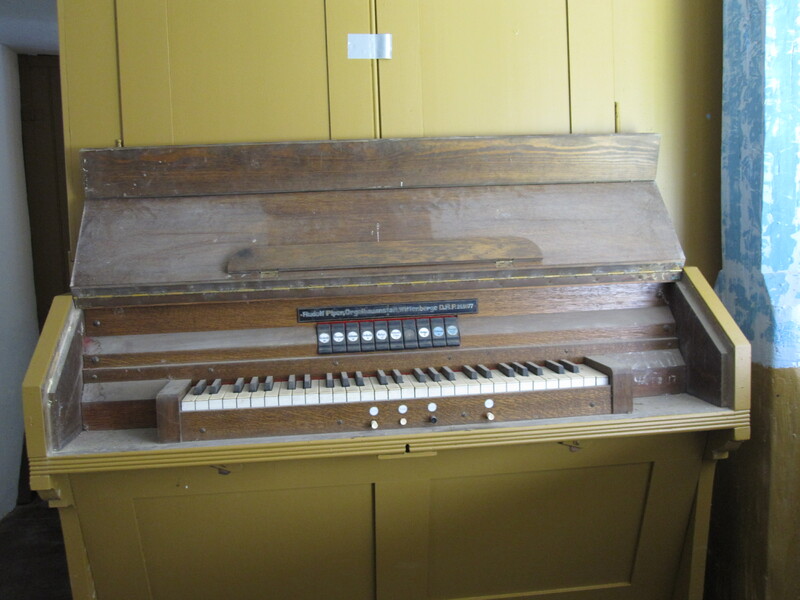 Currently, the organ remains non- functional and has several pipes missing. • Dehumidifying of the interior walls which have become damp due to the lack of repair to the mortar holding the stone foundation and brick walls together. This will be corrected through re-mortaring the exterior walls and the addition of adequate drainage of rain water from the roof. 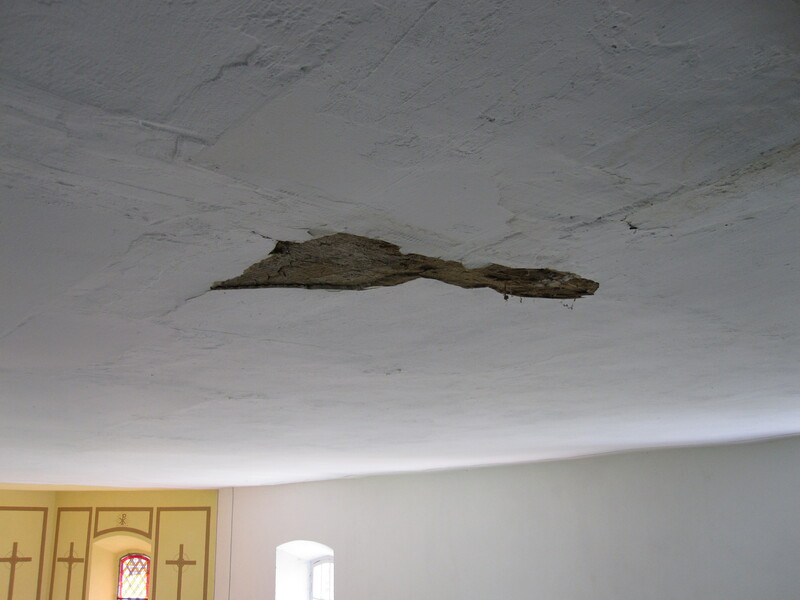 Lübzow • One the roofing has been replaced; the ceiling will be re-plastered and returned to its historical charm.